Starting on the 6th March, a game will be played every alternate day until 18th March. Celebrating their 70th year of Independence, the Sri Lanka Cricket (SLC) has announced the Nidahas Trophy which will be held in March. It was a hard-fought struggle for the Sri Lankans to earn their next generations a better future. The Islanders finally managed to over-power the dominance of the British rulers after the latter ruled the country for over two centuries. Although freedom was granted in 1948, the country remained under the British Dominion until 1972. Since then, the country celebrates its Independence on 4th February every year. 2018 marks 70 years of independence for the Lankans and over this period of time, they’ve come a fairly long way. The Nidahas Trophy will host two neighbouring countries in India and Bangladesh. The SLC has confirmed that all the games will be T20I fixtures and will be hosted by the R. Premadasa Stadium in Colombo. Although their cricket team is struggling ever since the senior players retired, this is one big occasion for them and to tackle India and Bangladesh won’t make it easy. Just the way most Tri-series tournaments work, all the teams will face-off against each other twice. Starting on the 6th March, a game will be played every alternate day until 18th March. Teams finishing in the first two positions will play the final on 18th March and all these games will be played at the historic R. Premadasa Stadium. 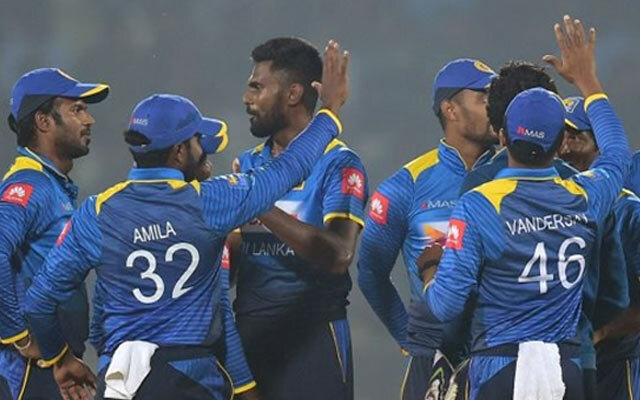 Sri Lanka: Dinesh Chandimal (c), Upul Tharanga, Danushka Gunathilaka, Kusal Mendis, Dasun Shanaka, Kusal Janith Perera, Thisara Perera, Jeewan Mendis, Suranga Lakmal (vc), Isuru Udana, Akila Dananjaya, Amila Aponso, Nuwan Pradeep, Dushmantha Chameera and Dananjaya De Silva. India: Rohit Sharma (c), Shikhar Dhawan (vc), KL Rahul, Suresh Raina, Manish Pandey, Dinesh Karthik (wk), Deepak Hooda, Washington Sundar, Yuzvendra Chahal, Axar Patel, Vijay Shankar, Shardul Thakur, Jaydev Unadkat, Mohammad Siraj, Rishabh Pant (wk). Bangladesh: Mahmudullah Riyad (c), Tamim Iqbal, Soumya Sarkar, Mushfiqur Rahim (wk), Sabbir Rahman, Mustafizur Rahman, Rubel Hossain, Abu Jayed, Taskin Ahmed, Imrul Kayes, Nurul Hasan, Mehidy Hasan, Ariful Haque, Nazmul Islam, Abu Hider Rony, Litton Kumar Das.